Our preschool families are selling Joe Corbi’s pizza and dessert kits this month. Orders are due on Monday, October 15 for our 3-year-olds, and on Tuesday, October 16 for our 4-year-olds. Parents are reminded that checks should be made payable to AMAZING SCHOLAR ACADEMY PRESCHOOL, not Joe Corbi. You may keep your booklet tally sheet. Please just return your order and check in an envelope marked with your child’s name. Orders can be picked up between 11 a.m. and 12:30 p.m. on Thursday and Friday, November 1 and 2. Thank you for supporting our preschool program! Help out our preschool every time you go grocery shopping! 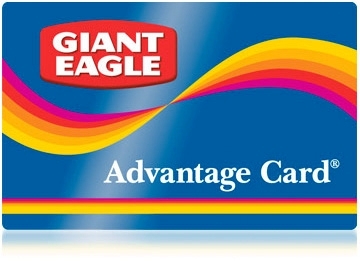 Through Giant Eagle’s Apples for the Students program, you can register your Advantage Card online and choose Amazing Scholar Academy Preschool (ASAP) to receive free education awards every time you swipe your card. Our school code is #5291. Get registered by following the simple steps on the downloadable flyer below. When winter comes around, be sure to watch KDKA-TV or listen to KDKA Radio 1020AM for school closings. You’ll hear, “Amazing Scholar Academy Preschool is CLOSED!” or nothing at all. Our school is NEVER on a delay. We are either OPEN or CLOSED. If we are closed in the morning, we will also be closed in the afternoon as well. Not sure? Call the preschool at 412-367-0381. We will also make every effort to post our weather status on our Facebook page on winter weather days! A JAM-PACKED SCHOOL YEAR AHEAD! Field Trips | Fundraisers and much much more!